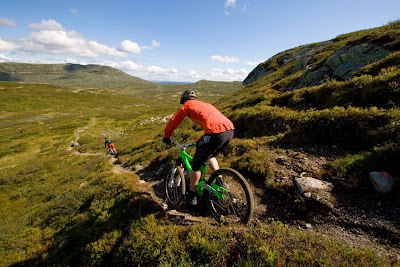 Just recieved some shots from my mountainbike touring adventures in Folldal earlier this summer. 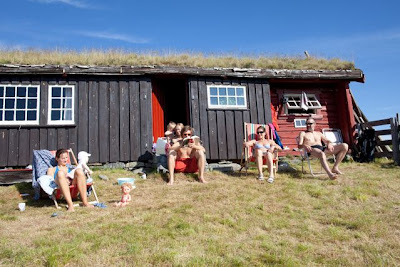 We had a good week staying at our family's getaway, an small summer farm in Folldal, right between the great Norwegian mountain areas of Rondane and Dovre. Top of the world. With wheels for going back down. Up there the round peaks at right above 1500 meters are great for self earned freeriding on two wheels. 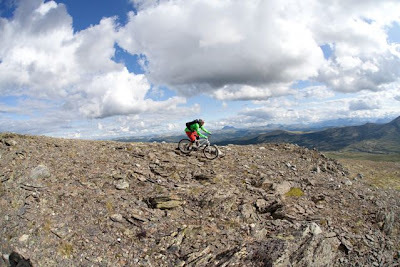 From around 1000 meters and up the surface is super smooth with small flat rocks, gravel and very little vegetation, meaning you can ride anywhere, like skiing or snowboarding, without having to follow any paths and tracks. Takin air on a natural little kicker and landing in soft moss above the valley. 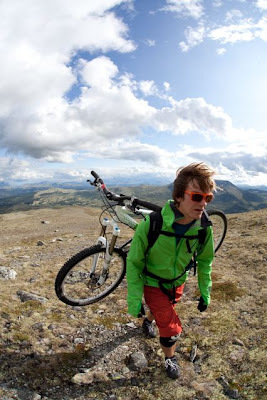 Pedalling in to where it starts getting steep and then strapping up is the way to go in the Folldal hood. No lift around and fresh tracks everywhere. 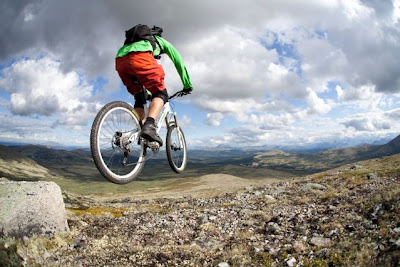 A singletrack bike with a good bit of suspension does not weigh more than what you can carry on your back, but is still tough enough to handle some beatings going down the mountain full speed. I got to borrow an excellent all-mountain Commencal Meta 5.5 from Bikes&Boards and it totally got the job done. 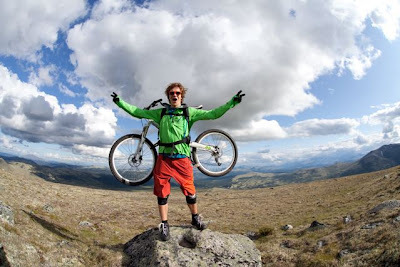 This is the true meaning of MTB freeriding. All free, all natural. 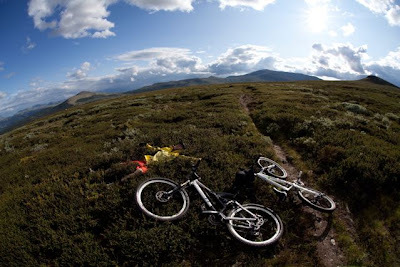 Hans Magnus relaxing in the bushes after a good ride down from Fatfjellet. Still a bit of fine singletrack is in front of us before we return to the cabin. Thanx to Hans Magnus for the shots.